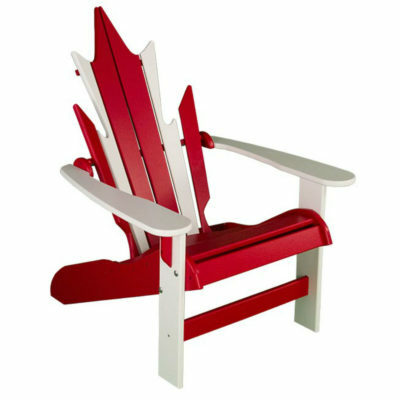 Our most popular deck chair, the Deluxe Adirondack Chair is sure to be a favourite! 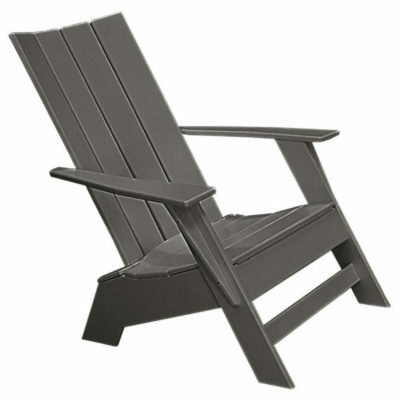 The classic Muskoka chair design with nice recline and fan back. 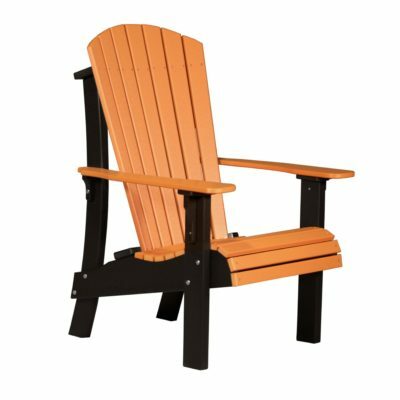 Featuring the classic Muskoka fan back design, the Deluxe Adirondack Chair is a great addition to any home! The Luxcraft Adirondack line also features the Folding, Lakeside, Royal and Urban chairs so you are sure to find one that suits you! The Deluxe could be your favourite chair due to its comfortable wide seat and natural recline. It’s our most popular deck chair for good reason. You’ll love the bright colours as well as how easy they are to clean! Constructed from recycled plastic (poly) and stainless steel hardware, and backed with a limited lifetime warranty, it’s sure to become a favourite. Luxcraft brings Amish quality craftsmanship to your patio furniture. Virtually maintenance-free and designed to be left outdoors, even in the harsh Canadian winters!